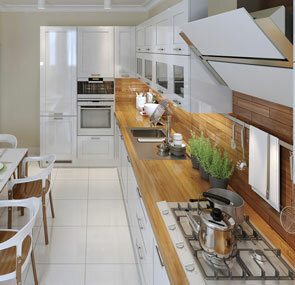 Serving homeowners, builders and contractors with cabinetry, countertops, fixtures and more for kitchens and bathrooms. Westchester Kitchen & Bath offers a full showroom of bathroom, kitchen products, design & installation services for homeowners & contractors. Located in Yonkers, NY the Westchester Kitchen & Bath Showroom features the top brands and products available for kitchen and bathroom remodeling projects. 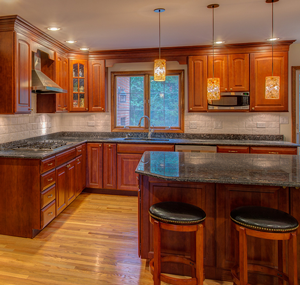 Get a closer look at cabinets and countertops as well as flooring and backsplashes. Talk with our showroom designers and get expert tips while you shop. Looking for design inspiration? 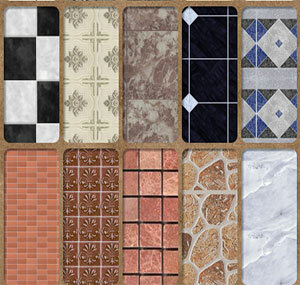 Our designers have curated beautiful kitchen and bathroom displays so that homeowners, contractors and builders can test and visualize a variety of kitchen and bathroom products. At our showroom you’ll be able to see the design possibilities right in front of you so stop on in! Westchester K&B’s newest cabinet designs feature trending colors for kitchen cabinets and bathroom vanities. From natural granite and marble to engineered quartz and concrete, we offer a large range of countertop products to choose from.